"Zeal is the gift from God by which the convictions of our heart are translated into the actions of our hands and directed toward the good of others." 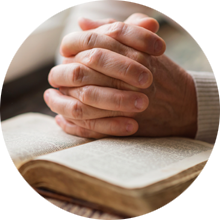 Vowed members respond to the Gospel call through a consecrated life of prayer, community living and service according to the Constitutions of the Sisters of Holy Cross. 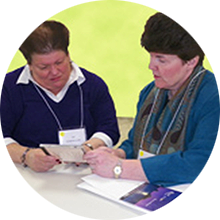 Associates respond to the Gospel call with the Sisters of Holy Cross in the ordinary circumstances of their married or single lives. 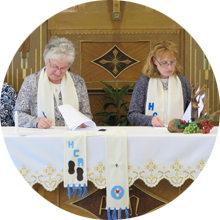 Companions respond to the call of the gospel through a deepened commitment to serve God's people guided by the mission of the Sisters of Holy Cross in their respective work place"